Graduate Research Assistant at the R&D Department of Biobest in Belgium. 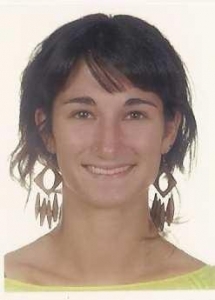 Maria José Ramírez Soria got her degree in Agricultural Engineering from the Universidad Politécnica de Valencia, Spain, in 2010. In 2011, she carried out a six-month training in Biobest Belgium working on the biology, the mass rearing, and predation trials of several phytoseiid mites. After that she has been hired by Biobest since September 2011. She has been collaborating with Instituto Murciano de Investigación y Desarrollo Agrario y Agroalimentario, working on the biology, the physiology, the mass rearing, predation trials, and the population dynamics of mirid predators. During this period she has accomplished both field and laboratory trials. Her interests focus on natural enemies, their physiology, their behaviour in open field and their interaction with other agents. She completes her research work with the design of mass rearing systems and a first approach of the economical viability of biological pest control in open field.